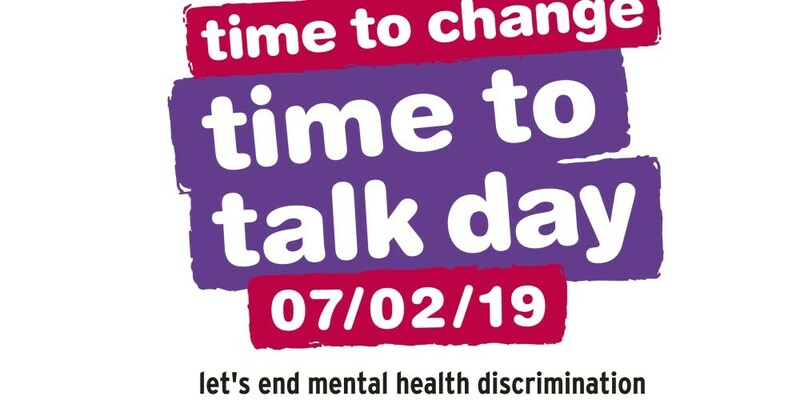 This Thursday marked Time to Talk Day, which is promoted by the Time to Change campaign. The campaign aims to end the stigma and discrimination directed towards those in our communities living with mental health conditions such as anxiety, depression or obsessive-compulsive disorder to name just a few of the most common. The incredible reality is that 1 in 4 of us will live with a mental health condition at some point in our lives. As life becomes more complicated and pressured, mental health issues are not just more prevalent than we first thought: they’re on the rise. The World Health Organisation has sounded repeated warnings that in the next decade, mental health issues will become the number two (if not number one) cause of illness. Worryingly, just 1 in 8 people who have mental health issues feel that they are able to step forward and speak to someone with a view to receiving the acceptance and support needed to make their condition manageable. Our aim in sharing Time to Talk Day with the school this week is to change this frightening statistic. We want to foster an environment at JRCS where all members of our community, be they staff, students or parents and carers, feel able to have open and honest discussions about conditions that can (and do) affect many of us. Quite often, it is a lack of understanding of mental health issues that can make them an awkward or even frightening topic to discuss, and yet our message this week has been simple: all our friends, family and colleagues living with mental health issues want is a patient, non-judgemental ear for a few minutes. To that end, Mrs Quail, myself and two Sixth Formers, Ebony and Kieran, compiled a short video to display in assembly. We shared our own experiences around the topic of mental health, whether discussing loved ones or talking about our experiences living with our own mental health conditions. We all concluded that, while mental health conditions are another way in which life can be made challenging, they should do nothing to lessen the identities of our friends, colleagues and loved ones, or the love and respect that we have for them. People with mental health issues exist in all areas of our community. It is my hope that, in speaking frankly and openly in assembly, we can continue to be as frank and open as a community and make talking about our mental health as routine as discussing a bad back, nasty cold or a headache! As well as our assembly, meditation sessions, a joke-telling competition in the Peace Garden and a mental health pledge wall all formed the centre of the day. We were really humbled to hear from staff and students about discussions they had had or witnessed as a result of these activities, and we hope that this is something that continues every day, not just on Time to Talk Day!